Welcome our customers visit our factory for inspection on production process, production machine and test equipment. We can discussed some problems of customer’s product design and provided some suggestion for customer’s reference, so that some improvement for can be made for customer’s product. If you are creating a new product to brand new market or want to customize the parts to fit your product, however when it comes to executing the project, you may need some help. And that's what we can do for you.we offer silicone rubber keypads, injection molding, liquid silicone injection(LSR) molding, transfer molding, and compression molding rubber products for various markets, including the automotive motorcycle, electronic, machinery, medical, appliance, construction, military, sport gears ,food grade ,toys and consumer products.We assist our customers through the whole manufacturing process from material selection, designing suggestion, tooling development, and production. we continuously improve our equipments and technique in order to provide the best quality and competitive prices to satisfy our customers' needs. Our highly experienced teams are appreciated to assist you. 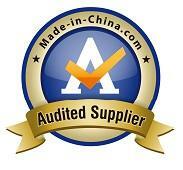 Quality service and reliable products is our guarantee. You are highly appreciated that you could take a little time to fill out the below information so we can better understand your needs and provide you with more professional services. We will reply as soon as we see your demand, but please allow at least 24 business hours.